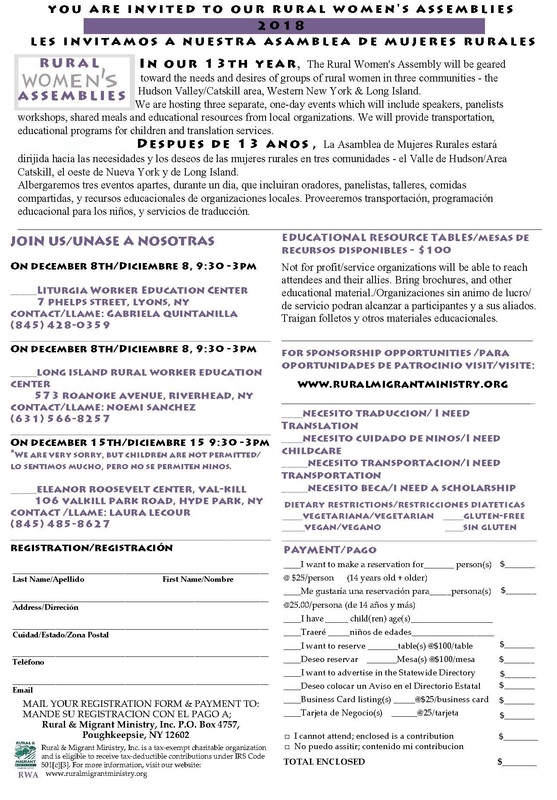 The Long Island Rural Women's Assembly will take place on December 8th at RMM's Center in Riverhead. Please contact Noemi Sanchez or Laura Lecour for more information. You can register online, or by filling out the pdf in the flyer link at the bottom of the page.